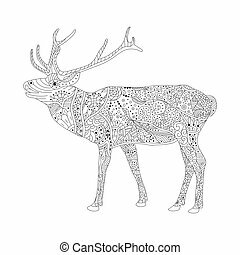 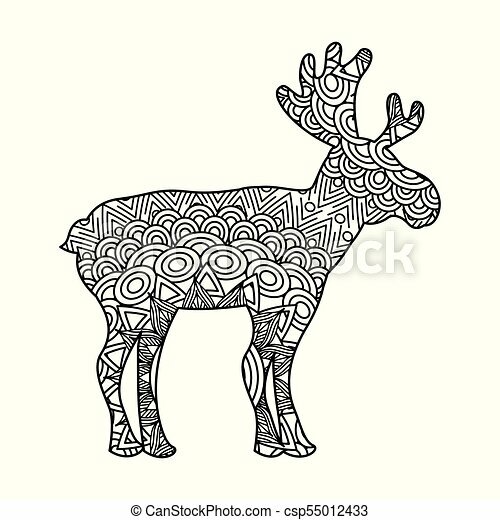 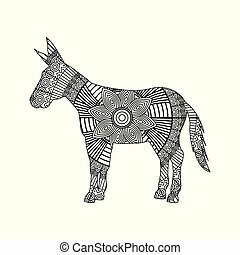 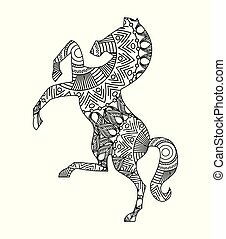 Drawing zentangle for deer adult coloring page vector illustration. 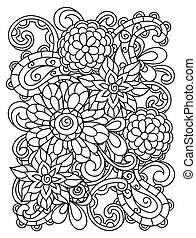 Vector coloring book page for adults. 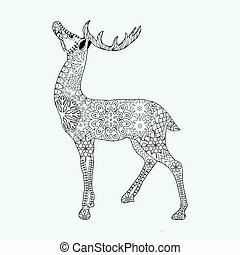 Patterned deer drawing. 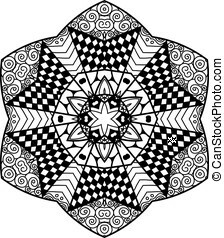 Hand Drawn doodle vector illustration. 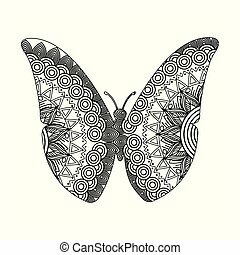 Zentangle Style. 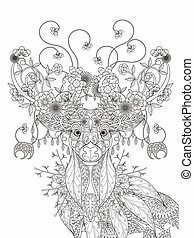 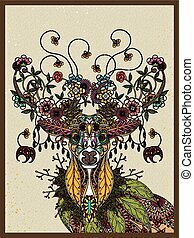 Hand drawn Christmas deer for adult anti stress Coloring Page, T-shirt, tattoo and floral design elements isolated on white background. 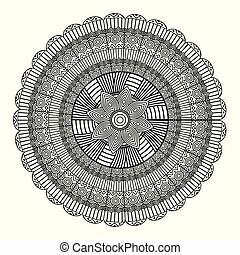 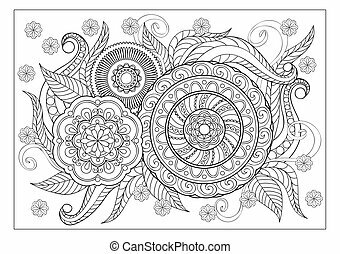 Hand drawn decorated image with doodle flowers and mandalas. 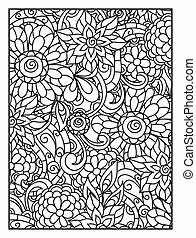 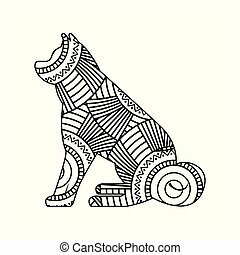 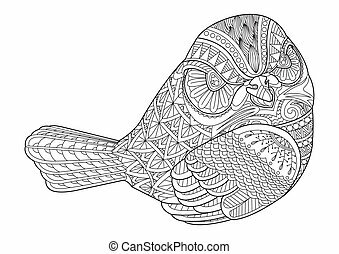 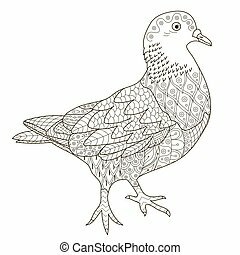 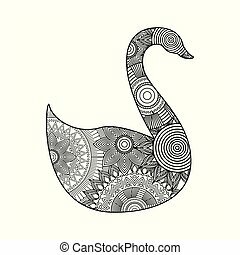 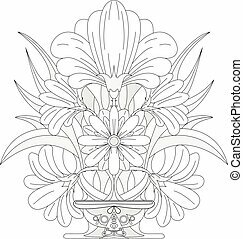 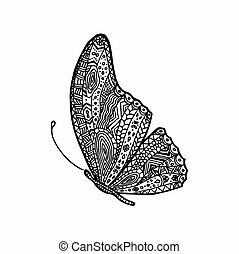 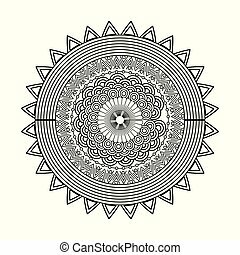 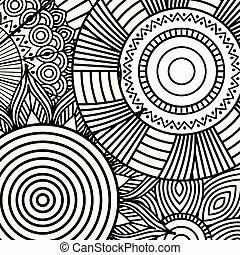 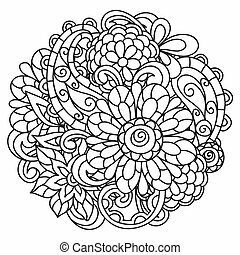 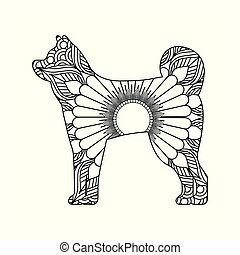 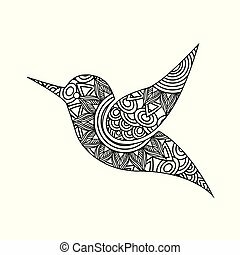 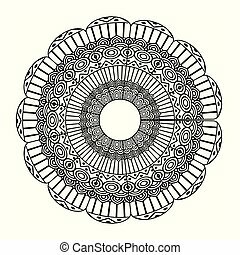 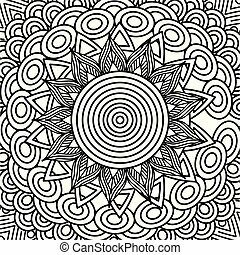 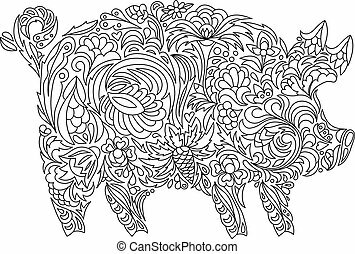 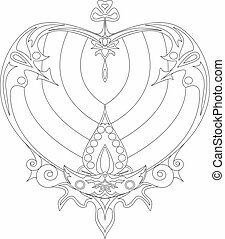 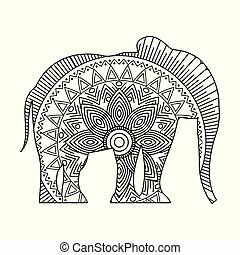 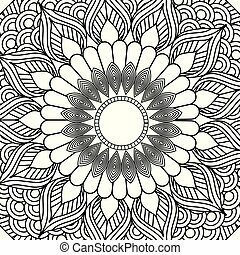 Image for adult coloring pages, books, embroidery.